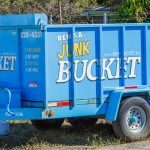 Marietta’s Most Beloved Dumpster Rental Service – Junk Bucket! 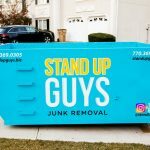 The Stand Up Guys offer their Junk Bucket Dumpster Rentals all over the Marietta area. 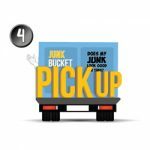 If you live or work in Marietta and are in need of dumpster rental or bin rental services for you junk or debris, the Junk Bucket is perfect for you. After all, we’d never steer you wrong. 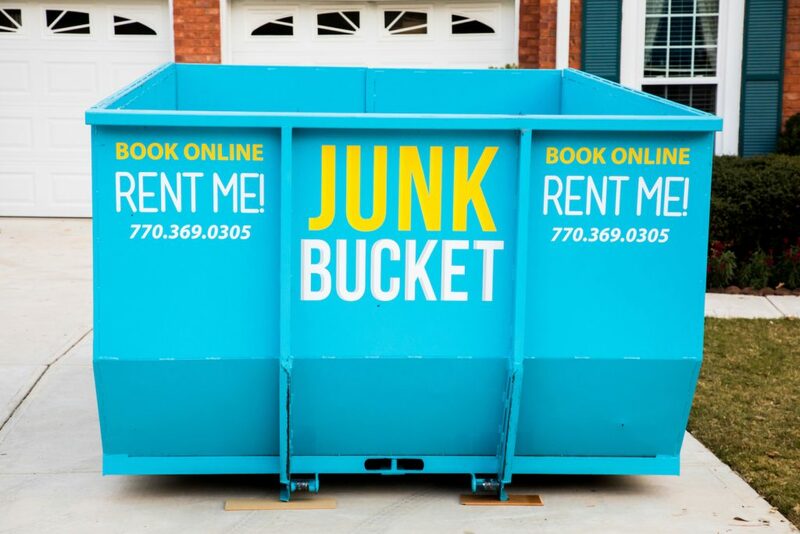 Our Junk Buckets aren’t like your typical dumpsters. Most dumpsters are big, ugly and hard to look at, and your neighbors hate looking at it even more than you do. Not to mention, traditional big dumpsters are all steel on the bottom and sit right on your driveway, which can cause cracks and irreparable damage. I don’t even want to think about repairing a driveway, that can make you queezy just imagining it. Now Junk Bucket Dumpsters are quite the opposite of traditional smelly dumpsters. We share all the same ‘good’ traits, but don’t come with all the downsides. 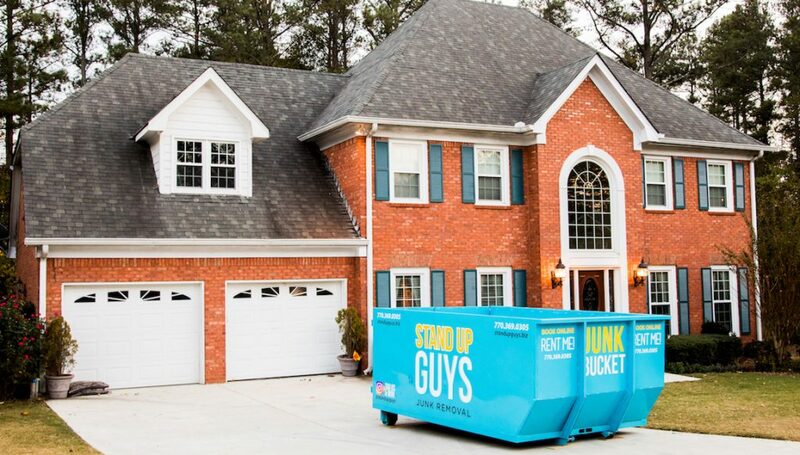 The Stand Up Guys Junk Buckets are all driveway safe, with driveway safe rubber wheels. This way we won’t damage your driveway by dropping a dumpster on the concrete. Also, our Buckets aren’t ugly at all, actually quite the opposite. 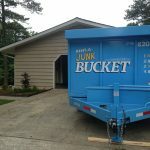 Junk Buckets are compact and clean, this way you can get rid of your junk and debris without the annoyance of a traditional dumpster and you can make the neighbors jealous at the same time. Win, win. 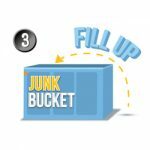 Ordering a Junk Bucket is easy as pie. Our communication with our customers is top notch throughout the entire process. From ordering, to delivery to pick up, we are here for you! 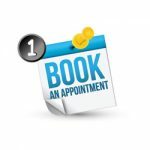 All you have to do is pick up the phone and give us a call at 770-369-0305 or you could even book your appointment online! Just let us know what day and time you want the Junk Bucket and for how long, and that’s that. We’ll have it out right away! 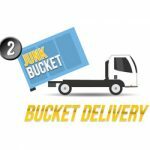 The Stand Up Guys Junk Buckets are great for contractors and remolders in Marietta as well. Nothing would make your customer happier than telling them you weren’t going to stick a big ugly dumpster in front of their house. Instead you we can strategically place a aesthetically pleasing Junk Bucket on the driveway. This way your customers are happy. If the customers happy, then you’re happy!